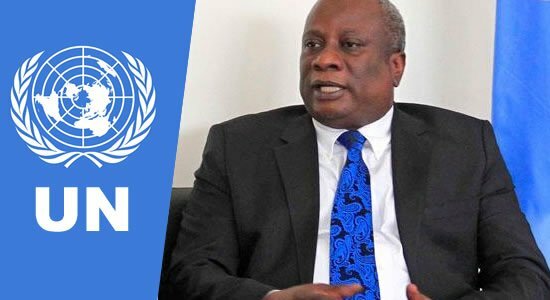 THE United Nations Humanitarian Coordinator in Nigeria, Mr. Edward Kallon, has called on the Government of Nigeria to provide humanitarian assistance to and protect up to 10,000 women, men and children who were forced to relocate to Maiduguri, the capital of Borno State, from a town of 40 kilometers away. According to the military, the civilians were relocated for security reasons ahead of planned operations in the area. “The entire town of Jakana was emptied, and people were forced to move to Maiduguri with very little time to collect personal belongings. Some people said they arrived in Maiduguri with nothing, not even with shoes on their feet,” said Mr. Kallon. The United Nations and its humanitarian partners called on the Government of Nigeria to take all possible practical measures to ensure the protection of civilians and full respect of the rights of individuals in accordance with its obligations under international humanitarian law and international human rights law as well as the Guiding Principles on Internal Displacement.